While many people could probably say that isometric action role-playing games are a dime a dozen, not many of them actually make it to consoles; which is mostly due to how complex some of them are, making it difficult to port to a console with its relatively more limited controls. But some titles do eventually make their way to consoles and end up working pretty well, with Diablo III being one of the most notable and most recently Haemimont Games’ Victor Vran. Originally released in 2015 on the PC, the game has finally made its way to consoles with Victor Vran Overkill Edition, which includes the original game along with its two expansions. Similar to stories like Van Helsing, Victor Vran is set in a dark fantasy world, that greatly resembles 19th century Europe, that mixes elements of fantasy and science, which lead to our titular protagonist being able to wield swords, guns, and demonic powers. The initial premise and motivation of Victor Vran is pretty simple. The game’s titular character has traveled to fictional city Zagoravia in search for a friend and fellow demon hunter named Adrian. When he arrives at the city, he finds out it has been overrun by demons and Victor eventually finds himself with the task of cleansing the city of said demons as he searches for his friend. The game’s narrative doesn’t really get more complex from there and, as a whole, falls rather flat, which can also be said for the cast of characters Victor encounters throughout the game, with the exception of one. “The Voice” is quite literally a voice in Victor’s head that becomes his somewhat pseudo-sidekick. The Voice adds some flavor to the game’s story as he tries to both help you and lead you astray, most of the time as a joke. The Voice also regularly throws out pop culture jokes and references, although at times failing to hit the mark. Regardless, the element of humor the Voice adds to the game makes for a good contrast to its otherwise dark and serious themes. What Victor Vran lacks in narrative complexity though, it makes up for in its attempt at a unique take on the isometric action RPG formula. Victor Vran attempts to set itself apart from other games in the genre by stripping away many of the elements and components that similar games prominently feature and replacing it with simpler systems that make the game not only more accessible but actually fit the console platform incredibly well. Elements like character classes, status/attributes points, skill points and trees, a complex equipment system, and more are absent and have been replaced with only a few equipment slots and stats, with things like abilities and spells being dependent on items. Dedicated character menus are non-existent in the game, only an inventory menu where Victor’s stats, equipment, and inventory can be seen. Equipment slots have been reduced to left and right weapon slots, a singular slot for outfits, a talisman slot, two Demonic Power slots, two potion/bomb slots, and six Destiny Card slots. Some of the slots start out locked and are made available once the player reaches a certain character level. The same page also hosts the game’s limited number of stats, which include his health, defense, and up to two stat lines depending on how many weapons he has equipped. The weapon stat lines include armor piercing, damage range, critical hit chance, and critical damage. Other than the four aforementioned stats, weapons also determine Victor’s abilities. Each weapon type (of which there are eight in the original game) gives Victor three abilities – a spammable primary attack and two abilities with cooldown timers. And with the ability to equip up to two weapons at a time, it gives players a large number of options depending on their playstyle. Only one weapon can be used at a time though but players can easily switch from one weapon to the other quickly and easily. Some weapons types also feature abilities that may interact with each other such as reducing the cooldown of another ability if the primary attack is executed in a specific rhythm. Some weapons may also give special bonuses that are tied to a prefix and suffix system, similar to games like Diablo III. There are also “Legendary” weapons that not only have special bonuses but also have unique bonuses and effects. These special bonuses may range from increased damage and attack speed to reduced cooldown timers and many more, with over 30 prefixes and suffixes combined, making the possibilities for the game’s random weapon drops quite immense. Most of Victor’s special bonuses and passive abilities are attained via “Destiny Cards” though, which can be obtained from chests and when leveling up. The number and potency of Destiny Cards that can be equipped by Victor are dependent on the number of card slots and Destiny Points he has available, with more card slots and Destiny Points becoming available as he reaches certain character levels. And while the special bonuses obtained from Destiny Cards are similar to those obtained through weapon suffixes and prefixes but the triggered passive abilities from Destiny Cards can range from damage reflection to area of effect abilities that can slow or daze opponents within its area. The game’s outfits, which give Victor his entire look and take the places of armor pieces and sets, also provide minor bonuses such as increased health or critical hit chance. But the primary purpose of outfits is determining the way Victor gains Overdrive, the resource he uses to cast his demonic spells, such as when he takes damage or when he lands a critical hit, among others. Players will be able to choose their first outfit after the game’s pseudo-tutorial and other outfits can be obtained as a random drop from chests. The outfits are probably the closest thing the game has to a class-like system as their Overdrive gaining mechanic partially forces people to play in a certain way or use certain weapons over others. Regardless of the outfit and weapons being used though, Victor will still be able to activate whatever demon power he has equipped given that he has enough Overdrive available. Demon powers can range from summoning a rain of meteors to throwing a giant magical boomerang and more. 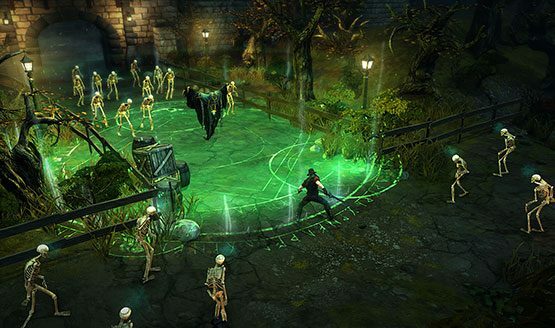 Keeping with the game’s focus on items, demon powers or spells are also treated like items in Victor Vran, taking the form of tokens that need to be equipped. And much like other items, demon powers can be dropped by fallen monsters or found in chests. Victor can only equip one demon power at the start of the game but will eventually be able to unlock a second demon power once he’s reached a certain character level. Victor can also equip consumable items such as an array of potions and bombs as well as a talisman that unleashes special effects when it’s fully charged. 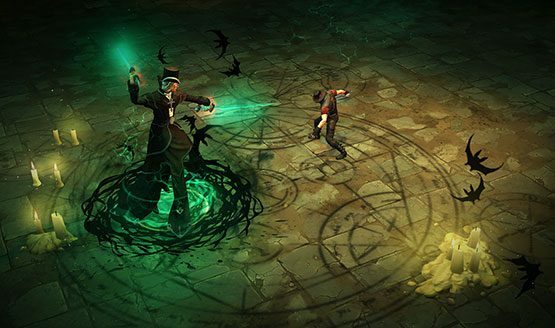 With its big focus on items, there isn’t a shortage of loot in Victor Vran. From monster drops to completing quests to hidden chests and more, there isn’t a shortage of ways to collect items. 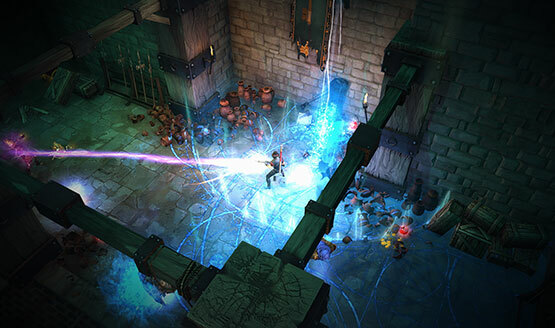 Victor Vran has even replaced the traditional RPG character progression to once again put things in line with its focus on items. Instead of gaining stat or skill points, although Victor does gain bonuses to his few base stats, leveling up rewards players with even more items, from more Destiny Cards to a random item. Combat in Victor Vran is incredibly solid, enjoyable, and probably one of the most polished in the genre, in part due to its unique style of gameplay. In spite seeming simpler, being able to switch between two weapons and two separate sets of skills, in addition to demonic spells, bombs, and talismans, make for a complex yet accessible experience. And when you add the dodge roll and jumping mechanics, the game’s combat instantly sets itself apart and put itself on another level than other games in the genre, bringing it slightly closer to the mechanics of third-person action RPGs. Even the game’s enemies have been designed to make full use of the dodge roll mechanic. Exploration is also made more enjoyable because of the game’s jump mechanic, allowing the maps to be more complex with more vertical levels. The jump mechanic not only allows players to jump up to higher levels but they’re also able jump down to lower levels for faster traversing. The jump mechanic also allows maps to have hidden areas with treasure that can only be reached by jumping up or down levels or over debris. Players can also wall jump to access harder to reach hidden areas. The game also tries to make the dungeon crawling even more interesting by introducing optional challenges. The challenges can range from not using potions or not getting hit to killing a specific number of certain enemies or killing a specific number of enemies within a time limit. While many of the challenges are quite easy to complete and can be done without too much effort, some of the other challenges are actually a bit difficult to accomplish, such as the damage avoidance one, and gives the game’s dungeon crawling another layer of enjoyment. Successfully accomplishing challenges rewards players with a quite a bit of gold or experience or, in some cases, items. While the replayability of the main game and campaign leave much to be desired, the Overkill Edition’s included DLC make up for it tenfold. The first piece of DLC, Fractured Worlds, delivers a new campaign with a different narrative and gameplay experience that leaves players attempting to piece together memories of his past as he explores constantly changing dungeons. While the scale and depth of the narrative for Fractured Worlds isn’t much larger than the original, the expansion offers an almost endless amount of replayability and ostensibly regularly gives players a new experience as it generates four new dungeons every single day. The second piece of DLC, Motorhead: Through the Ages, brings players on an amazingly fun and comedic rock and roll journey through Motorhead-inspired locations such as the Monument of Rock and the Pub at the End of Time. The expansion introduces new weapons, including guitars that shoot out magical skulls, new Motorhead-themed demonic powers, new Destiny Cards, and more, all with some of the legendary band’s greatest hits playing in the background. Even those who are unfamiliar with the band will still enjoy the expansion, with all of its quirks. The Motorhead expansion feels like a game that can stand on its own and along with Fractured Worlds ups the value of the Overkill Edition tremendously. 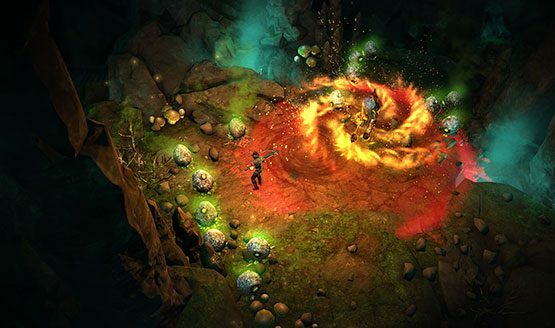 Victor Vran takes the isometric action RPG genre and puts a different spin on it. The game’s combination of gameplay mechanics set it apart and its execution, while simpler in some aspects than its constituents, is excellently accomplished, making it one of the more polished games in the genre. And while it does feature dark and serious themes, the game doesn’t take itself too seriously, allowing for some elements of humor which add even further to its appeal and enjoyment. The Overkill Edition also comes with some excellent pieces of DLC that not only provide an additional element of replayability to the game but also combine to give players three significantly different yet enjoyable experiences in a single title. Review code for Victor Vran Overkill Edition provided by publisher. Reviewed on PS4. For more information on scoring, please read our Review Policy here.